These fearless veteran entrepreneurs have all convinced the Sharks to bite and invest in their companies. 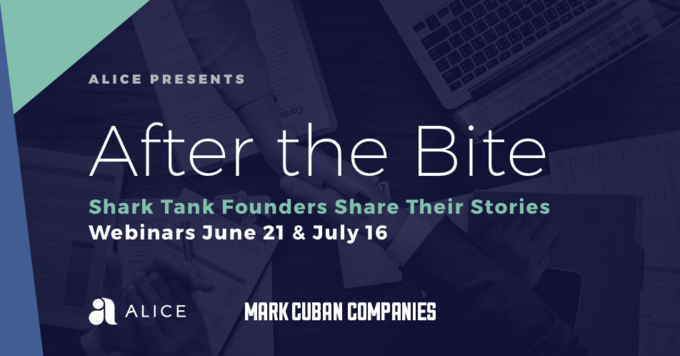 In this free webinar presented by Alice and Mark Cuban Companies, learn how they started their companies, successfully pitched on the Shark Tank stage, and took their products to market. This webinar--the second of a two-part summer series-- is coming to you on July 16 at 12pm CST. Register by clicking "View Resource" for the July 16th webinar. To register for the June 21 webinar and hear from female founders who have pitched the sharks, please visit this link.